Preface The book in its new format has run through 43rd edition along with its twelve heavy reprints in just two years. An appreciably heavy demand of the book has encouraged the authors to retain the same format and features which have made it so popular. 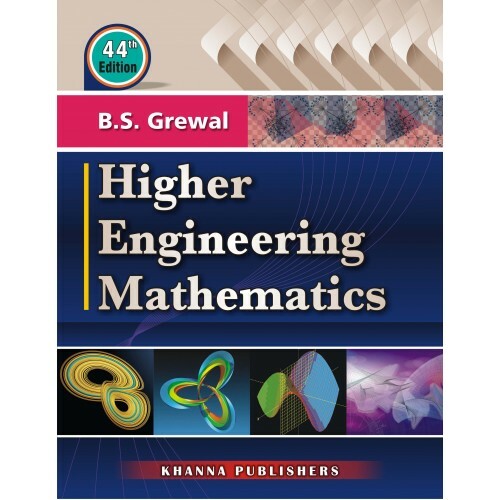 Even then the text has been carefully revised making some additions and alterations.The numbers of solved examples have been increased and problems from the latest university question papers have been incorporated. The objective type of questions have also been updated and given at the end of each chapter. It is hoped that the book in its revised form will enjoy the ever increasing popularity. The authors thank the numerous readers for their letters of appreciation and the follow professors for their suggestions and patronage of the book. In particular, they are grateful to Dr. B.B Singh, Vidyavihar, Ionere (Raigarh); Dr. V.Vasudeva Murthy, S.R.K.R Engg. College, Bhimavaram (A.P), Prof. P. Veeraiah, Sri Venkateswara College of Engg., Sriperumbudur (T.N. ); Dr. Jeavargi Phakirappa, R.Y.M Engg. College, Bellary (Ka. ); Dr. T.Subedi, National Inst. of Technology, Shillong; Dr. S. Mayilaganan, S.R.M. Univ., Kuttankulathur (T.N); Dr. Garima Aggarwal, Manipal Univ., Jaipur; Dr. Barun Kumar Yadav, HOD, Dept. of Mathematics in Chouksey Engineering College, Bilaspur (C.G); Dr. Arvind Kumar Sinha, National Inst. of Technology, Raipur; Dr. Rashmi Bhardwaj, G.G.S Inderprastha Univ. , Delhi; Dr. T. Yogalakshmi, Vellore Inst. of Technology, Vellore; Dr. C.N.B Rao, S.R.K.R Engg. College Bhimavaram (A.P); Dr. V.Dhanapalan, Govt. College of Technology, Pudur (T.N.) and Prof. Shivani Mehra, Chandigarh Univ., Mohali, Suggestions for improvement of the text and intimation of misprints will be thankfully acknowledged.